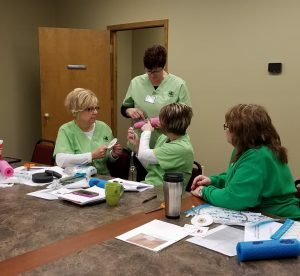 Nurses at Carroll Area Nursing Service received Wound VAC recertification recently. Janet L. our certified training nurse held the class. Our nurses are highly trained in Wound VAC treatment and other wound cares. Carroll Area Nursing Service takes great pride in client care and offering the most advanced form of care. Today’s world is filled with people of all ages using cell phones. The average American checks their cell phone 47 times per day, and every time you touch your cell phone you are transferring bacteria from your hands to your phone. Most people don’t give a second thought to using their cell phone everywhere including the restroom, which is one of the worst places to use it. Every time a toilet flushes it spreads germs everywhere. Even if you wash your hands before leaving the bathroom, once you leave and touch your phone again it’s like you didn’t wash your hands after using the restroom. 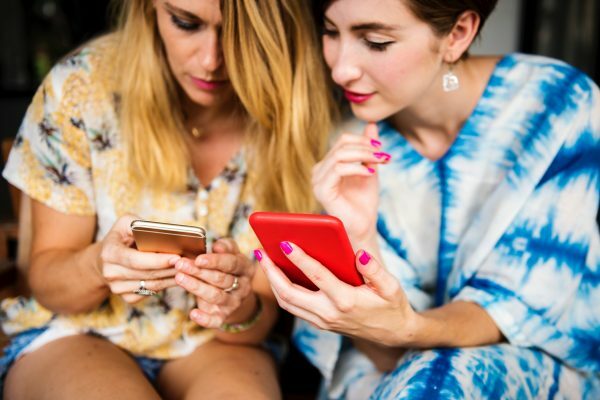 Studies have found that phones have 10x more bacteria on them than an average toilet seat and 18x more harmful bacteria than the bathroom door handle. E coli, MRSA, Staphylococcus and Streptococcus can be a few of the more serious germs lurking on your phone. Although having these microbes on your phone won’t necessarily make you sick, you don’t want them entering your system. Sharing your phone with others also increases your risk significantly. The oils and bacteria on your phone can also cause skin outbreaks. When you press the phone up against your skin you are allowing bacteria to get into your pores. Cellphones won’t be going away anytime soon so how can we protect ourselves? Good handwashing throughout the day and especially after using the restroom is a key starting point. Not taking your cell phone into the bathroom with you is another. Limit sharing your phone and letting others handle it while showing off your pictures. When it comes to cleaning your phone, that microfiber cloth that probably came with your phone is a good starting place. If your phone didn’t come with one or you have no idea what happened to it, you can pick one up at any drug store. The dry cloth will remove fingerprints, oils and other smudges from your screen without scratching the surface like a paper towel can. Wipe your phone down vigorously until the screen is clear of any reside. Microfiber cloths will remove a substantial amount of bacteria from your phone but they won’t disinfect your phone. Apple and other manufacturers warn against using any kind of cleaner that is not the microfiber cloth, so disinfecting your device can be tricky. Health and electronics experts advise wiping down your mobile device with a moist microfiber cloth for basic sanitation and upkeep. Key word being “moist”. NEVER spray liquid directly onto electronic devices. Keep any moisture coming in contact with your phone to a minimum. To clean his own mobile devices, Mr. Meister at the Geek Squad said he uses a 1:1 ratio of 70 percent isopropyl alcohol and distilled water, which together cost less than $4 at most grocery and drugstores. “You want distilled water and purer alcohol so there are fewer chemicals or minerals left behind when the solution evaporates,” he said. Fill a spray bottle with the diluted alcohol, lightly moisten a lint-free, preferably microfiber, cloth (no paper towels) and gently wipe down the screen and case. Never spray directly onto the device. To clean corners and around ports, use lint-free foam rather than cotton Q-tips. If you are looking for a more convenient way to disinfect your phone, Bausch and Lomb as well as other manufacturers make individual cleaning wipes that state they are for electronics such as cameras, laptops, cellphones and eyeglasses. Just be sure that wipes you purchase contain a disinfecting agent. 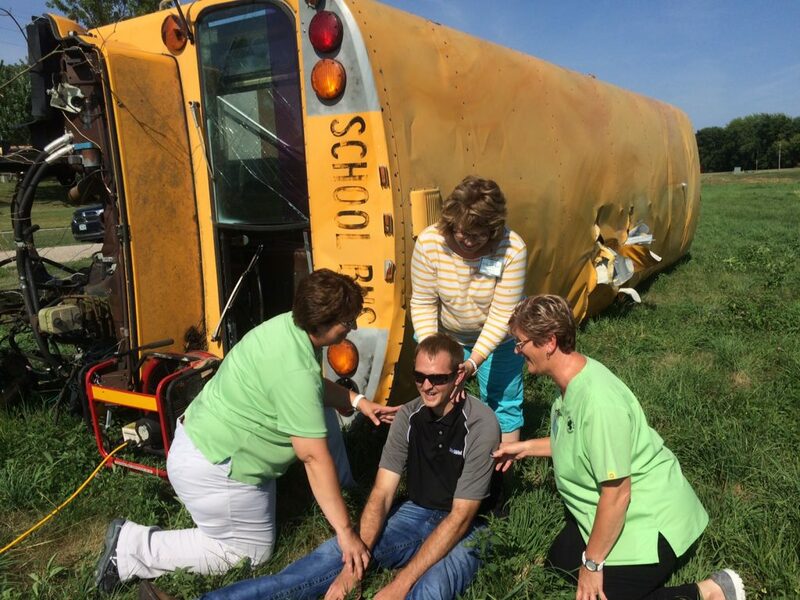 Manning was the site for a county-wide emergency simulation of a bus rollover accident on July 19th. 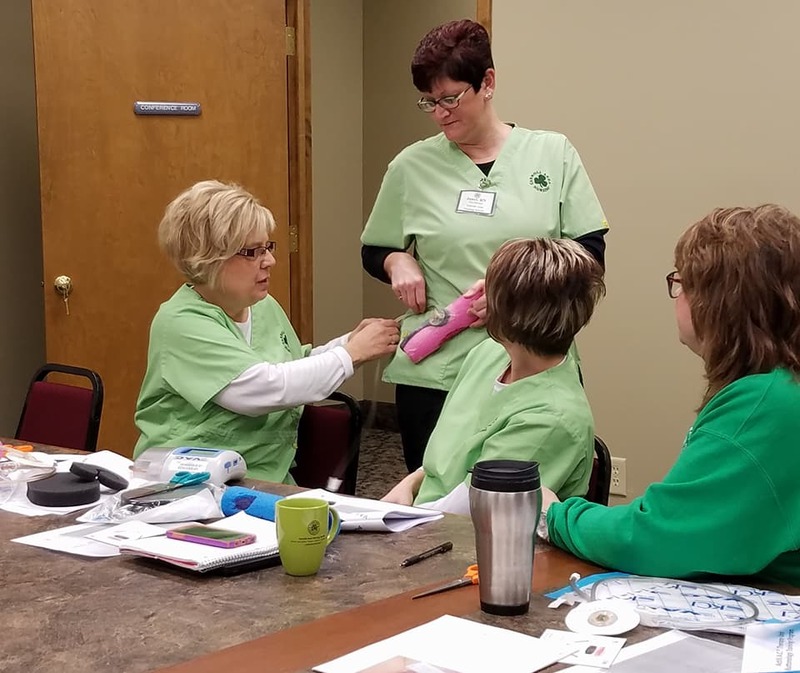 Carroll Area Nursing Service had four nurses participate in this exercise – Ann Langel, RN, Janet Ladehoff, RN, Beth Harms, RN, BSN, and Marie Pudenz, RN, BSN. 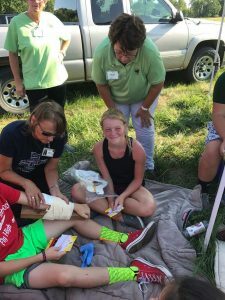 The drill had approximately 20 kids simulating injuries and required a number of agencies to work together. 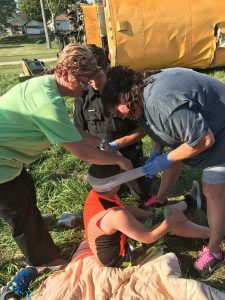 The county puts on at least three training sessions a year allowing area agencies to practice working together so they will be better prepared in the event of a disaster. 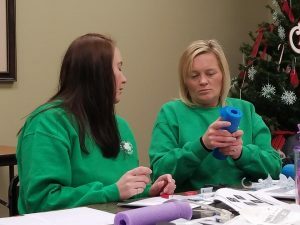 With all the hours our staff spends on the road daily and logging over 300,000 thousands of miles a year, our nurses felt this drill held extra significance for them. 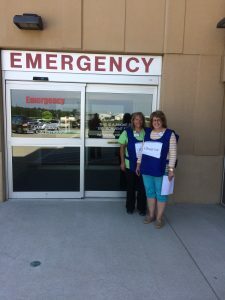 A big thank you to all the volunteers who took the time to participate in this drill to help CANS staff as well as Carroll County Emergency Medical Services, Carroll County Public Health, Manning Regional Healthcare Center, St. Anthony Regional Hospital, Manning Police Dept., and Manning, Manilla and Templeton Fire Departments be better prepared in the event of an actual emergency situation. Fruits and veggies are low in calories, high in vitamins, minerals, phytochemicals, and fiber. Experts suggest that we eat 5-9 servings of fruits and vegetables daily. 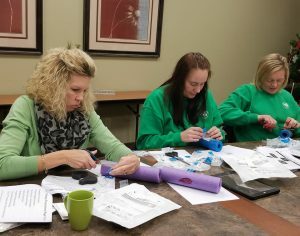 Eating 5-9 servings of fruits and vegetables on a daily basis is difficult for many people and studies show the average Iowan eats only 1 – 1.5 servings a day. So most of us need to up our game and consume more fruit and veggies. Now before you say, “But I don’t really like vegetables” or “fruit and vegetables are boring”, or “I can’t get my kids to eat anything green”, check out some ideas below on how to incorporate more into your diet, oftentimes without anyone being the wiser. Make a frittata over the weekend. Mix eggs with veggies for healthy, hearty breakfast and make extra to make for a quick breakfast during the week. Mix steamed and pureed or finely grated cauliflower to scrambled eggs. Add pumpkin puree to pancake or waffle mix. Or blueberries or raspberries. When a craving for comfort food hits and it calls for mac and cheese, add some tomatoes, peas or broccoli for a new twist and sneaking in a serving of veggies. Mashed potatoes are also a great comfort food. Try mixing a 1 to 1 mix of sweet potatoes and regular mashed. Sweet potatoes adds extra nutritional value to your mashed potatoes since they are high in fiber and a number of vitamins and minerals. Shredded zucchini or summer squash can be added to virtually any casserole without changing the taste or texture. Skip the bread or tortilla and wrap your sandwich in lettuce leaves. Gourmet grilled cheese are popular right now. Try adding spinach or arugula, tomato, and avocado. At our house we like to add sliced tomato and cooked bacon slices to our grilled cheese or ham and pineapple. Try adding carrot puree or chopped mushrooms to ground beef recipes from hamburgers to meatloaf. Basic tomato sauce in a recipe counts as one veggie but try adding pureed carrots or winter squash, peppers, onions or greens to increase that from 1 to 2 or more. It’s the season where gardens will be producing lots of zucchini so take advantage and make some zucchini bread for a sweet treat. If you are making brownies, make ones with grated zucchini for a moist delicious treat. A cool, refreshing snack is great on hot summer days. 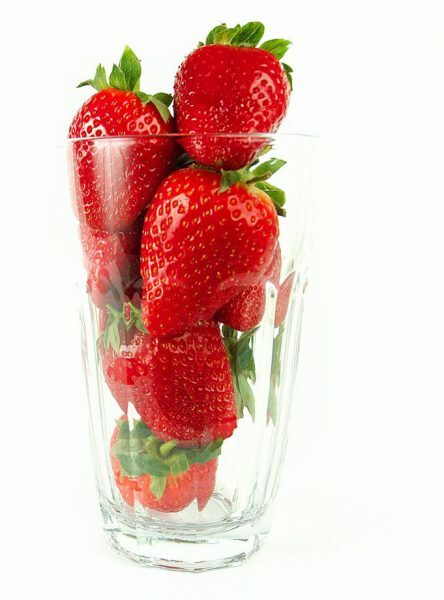 Mix fresh fruit, ice cubes and low-fat yogurt in a blender for fruit-smoothie snack. Making a fruit and yogurt parfait using a handful of low-fat granola with low-fat yogurt and sliced bananas and/or strawberries is a quick, nutritious, on-the-go breakfast and especially yummy during warm summer months. Top a piece of whole-grain toast with peanut butter and sliced bananas.